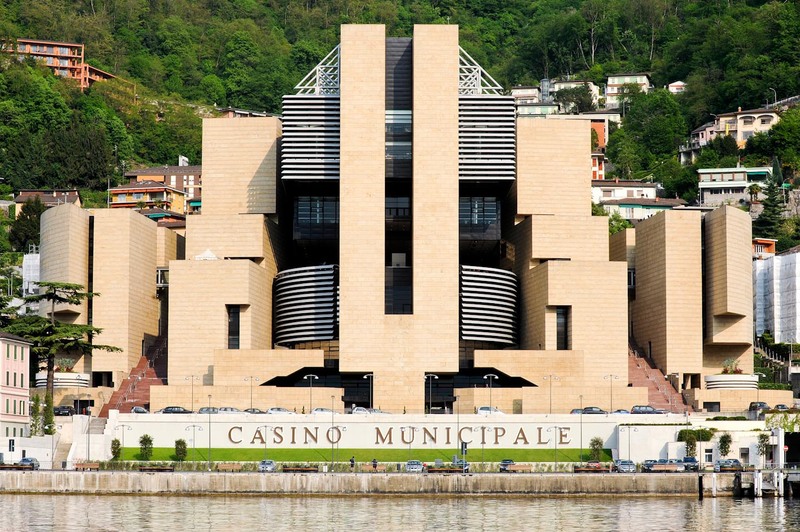 Casino di Campione on Lake Lugano could see a bankruptcy battle because its owners are facing a variety of allegations. The Casino di Campione has steadily declined financially for years. In 2012, the 101-year-old casino had a loss of CHF8m (U.S. $8.3 million), and its finances have spiraled downhill since then. Fast forward to 2016. A balance sheet shows the casino’s seemingly endless streak of bad financial luck, with liabilities amounting to CHF65m, assets totaling CHF21m, and debts equaling around CHF39m. 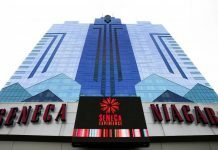 According to a local agreement, the casino must give the municipality a certain amount of money every year. Even as prosecutors are pushing for bankruptcy, there may be some hope for the casino. Roberto Salmoiraghi, the mayor of Campione d’Italia, where the casino is located, wants to help keep the bankruptcy from happening. He has a proposal to decrease the municipal employees’ earnings by 20 percent. Shareholders met to discuss Salmoiraghi’s plan. The casino is etched in history. It was built in 1917 and used as a meeting ground for diplomats during World War 1. Now, it is owned by the Italian government and managed by the municipality. In 2007, the entire establishment was moved to a new property, which was designed by Mario Betta, an architect from Switzerland. 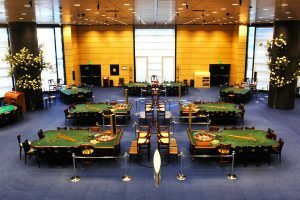 The new building consists of 500 slots, 56 gaming tables, and a total of nine floors. There was also an underground parking area. Plans were also in the works to add another casino. This facility would attract a specific demographic. The casino was set to be named Dragon Casino. It would have been run by the Novomatic Group of Austria. Its goal was to attract Chinese gamblers. There is still a possibility this casino will be built, and the hope is to have it opened by January 2019. 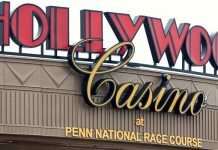 However, with a potential bankruptcy looming, there is no way to know what will happen and if the casino will be finished by its scheduled opening date. While Salmoiraghi is working to decrease the salaries of the municipality’s workers, it is reported that the staff’s work ethic is not as strong as it should be. The staff is made up of more than 500 workers and it has been proven they have been doing below average work. According to gamblingnews.com, human resource department statistics show, on average, workers used 16 sick leave days annually. Despite the managers of the Casino di are urging customers and guests to come to the casino and conduct business as usual, a bankruptcy hearing has been set for March 12. The casino is no stranger to controversy. In 2006, Prince Vittorio Emanuele of Savoy, son of the last king to rule Italy, was arrested for corruption, criminal association, and exploitation of prostitution after he allegedly sought women in order to send them to various clients at the Casino di Campione. This was not the first time Savoy would be a part of a controversial news story, however. He is somewhat known in Italy for being involved in many disreputable ordeals. These include comments he made that many felt were anti-Semitic. Savoy was also put on trial for murder in France, but the charges were later dropped. However, he was still convicted on a firearm’s offense after an incident occurred in which a tourist died after being shot with his gun. Thomas McCoy was born in Bethesda, Maryland and studied finance at the Kogod School of Business at American University in Washington D.C. before heading to New York and a job as a forex trader on Wall Street. Successful enough to launch his own, online forex trading platform, Thomas has long had a keen interest in the places where the worlds of finance and technology meet. As a prolific blogger, Thomas considers himself an expert on cryptocurrencies, casino asset restructuring, and emerging technologies set to change the way people do business.